A Humboldt Park man beat and robbed his ride-hailing driver in North Center on Monday, police said. 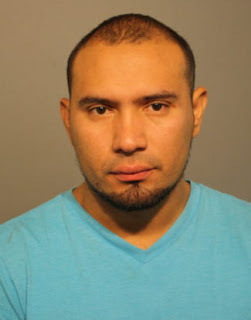 According to a police spokesman, the driver “felt uncomfortable” and asked Oscar Echeverria to get out of the car in the 2100 block of West Addison around 5 o’clock yesterday morning. Echeverria became irate, punched the driver in the face, then stole the victim’s phone and other items before running away, police said. Responding officers tracked the driver’s phone to find Escheverria on a CTA bus nearby. The bus was stopped and Echeverria was taken into custody without further incident, according to police. Echeverria, 35, is charged with one felony count of robbery. He is due in bond court this afternoon.